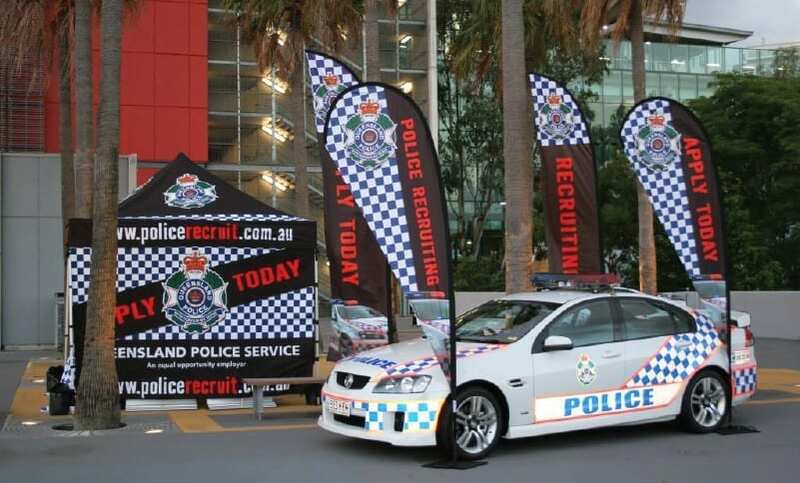 Printed Gazebos are cost effective. 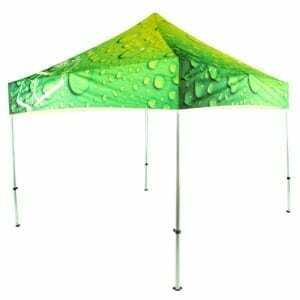 They provide maximum exposure at outdoor events. 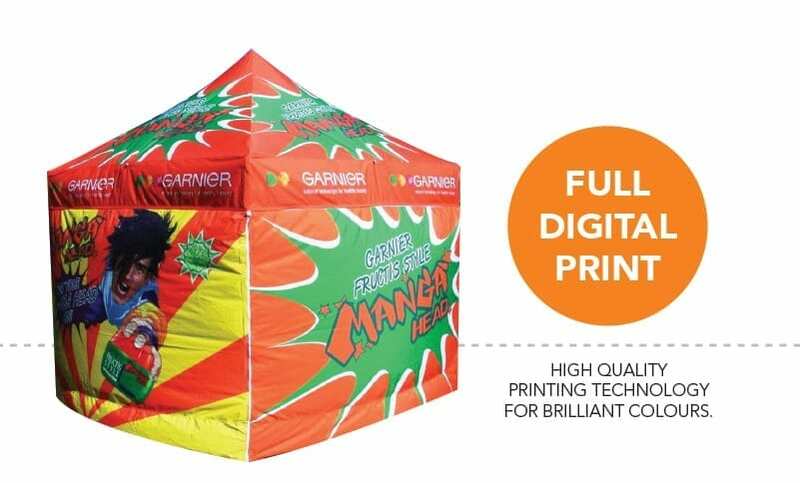 There are three different sizes of printed Gazebos. Which you chose depends on your budget and venue. 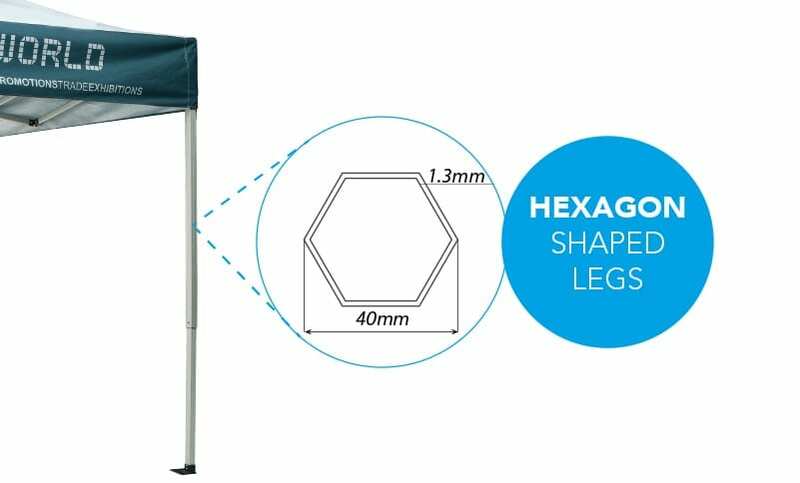 Our printed Gazebos come in three sizes. 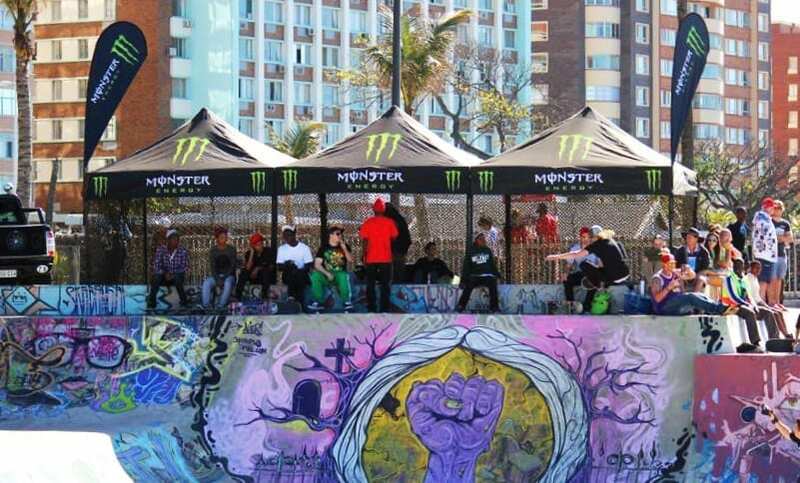 Sizes include our 3 x 3m, 3 x 4.5m and 3 x 6m structures. 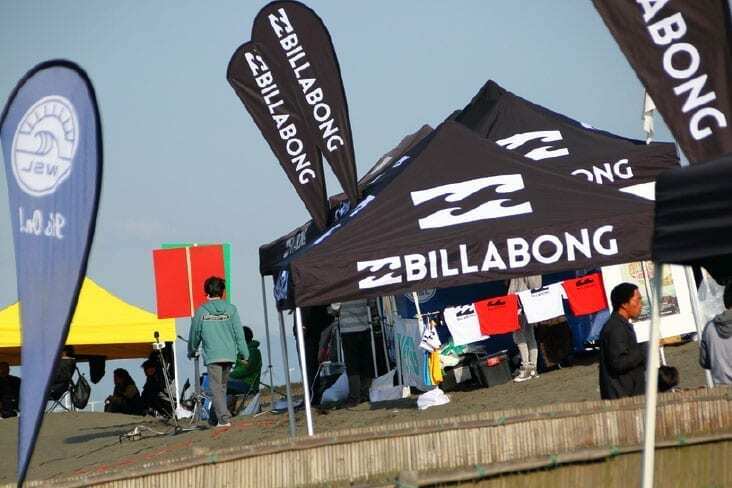 Standing over 3.5 meters at the highest point, branded gazebos cannot be missed at any event. 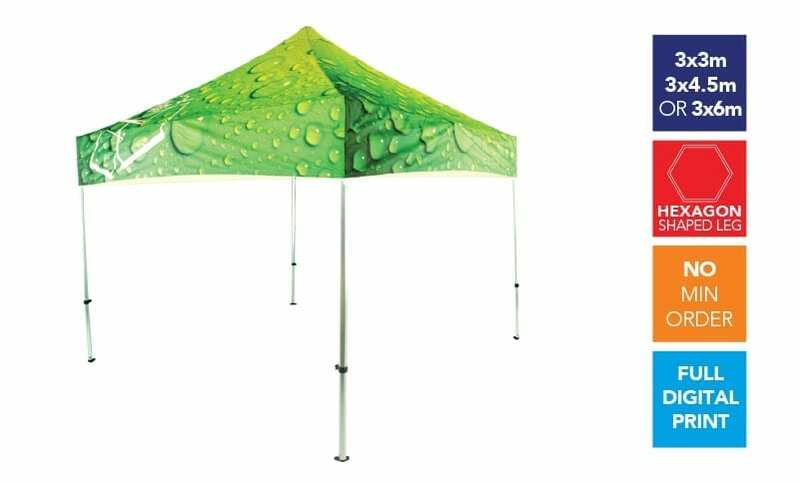 If more covered space is required two or more gazebos can be joined together with a gutter that prevents water getting in between the join. 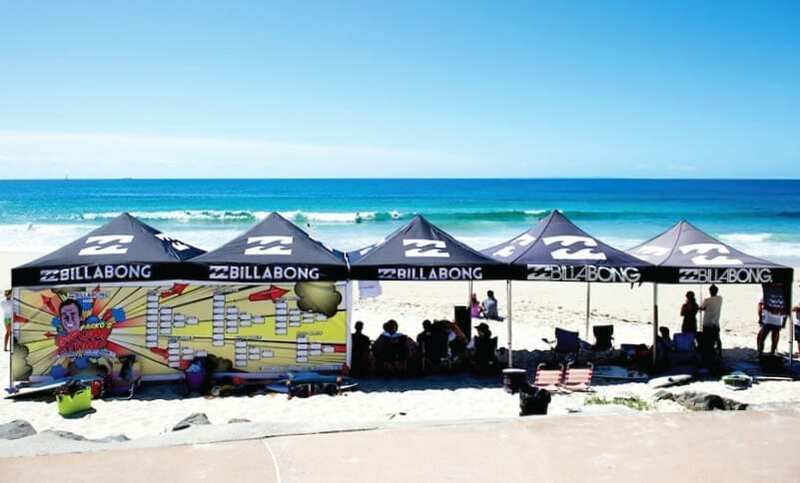 Adding walls to your printed Gazebo provides extra advertising space. Additionally it provides privacy and protection from the elements. 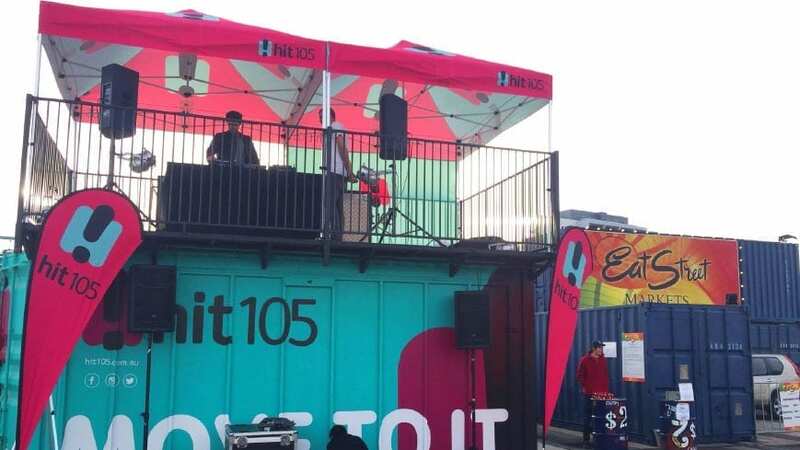 We produce both half-size and full-size walls for our branded Gazebos. The half-size walls are great for preventing crowds from walking through the gazebo while still allowing airflow. 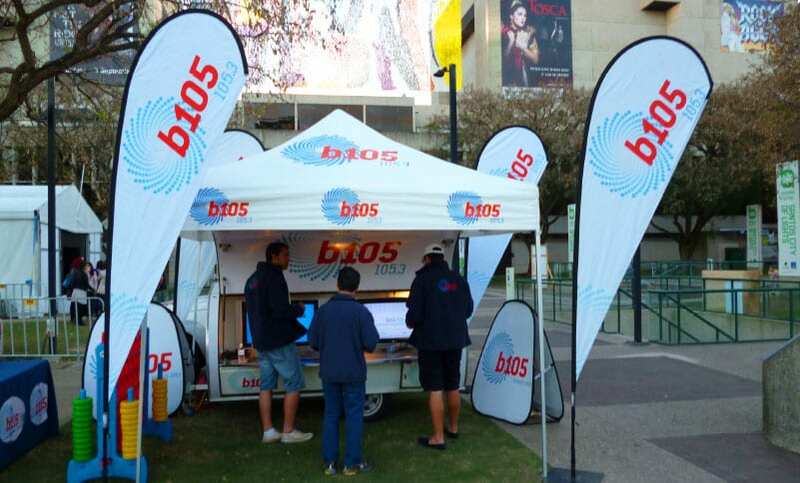 Giving branding space in front of a table or promotional stall set up. Both types are fully detachable and are secured with extra-strength Velcro. What’s more, we add a Velcro strip to both sides of the walls so that you can set up the walls with the artwork facing outwards or inwards. The walls can also have the artwork printed double sided, no problem. 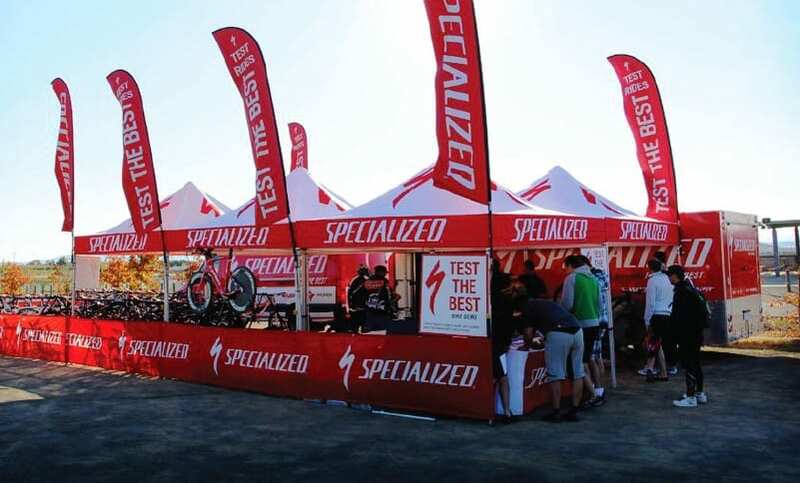 Venues are increasingly asking to see an engineering certification at events. Many venues will request to see this certificate before you are able to erect your promotional equipment on site. To make your life easier on event day we provide a printed marquee engineering certificate. This certificate will also prevent any unnecessary delay in setting up your equipment on event day. 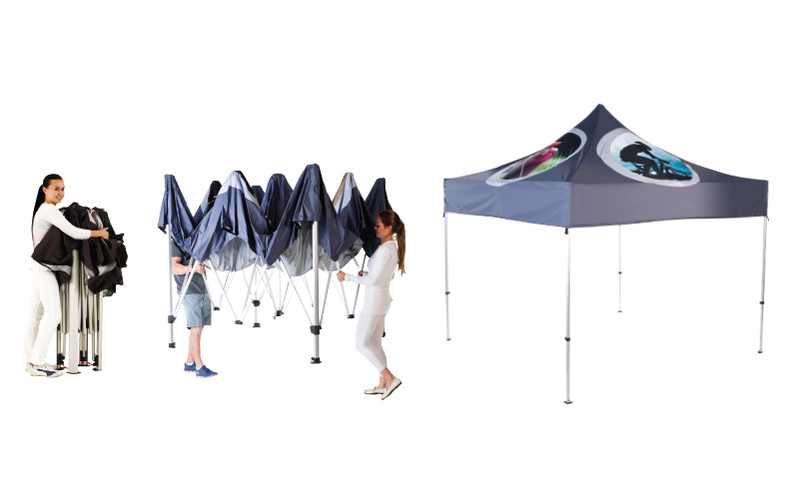 Our Printed Gazebos are built with the user in mind. Designed to stand up to the elements. 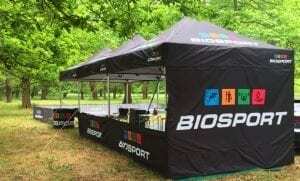 All branded and printed gazebos come with easy to use ropes. They come with gazebo pegs which secure them to the ground and prevent any movement. 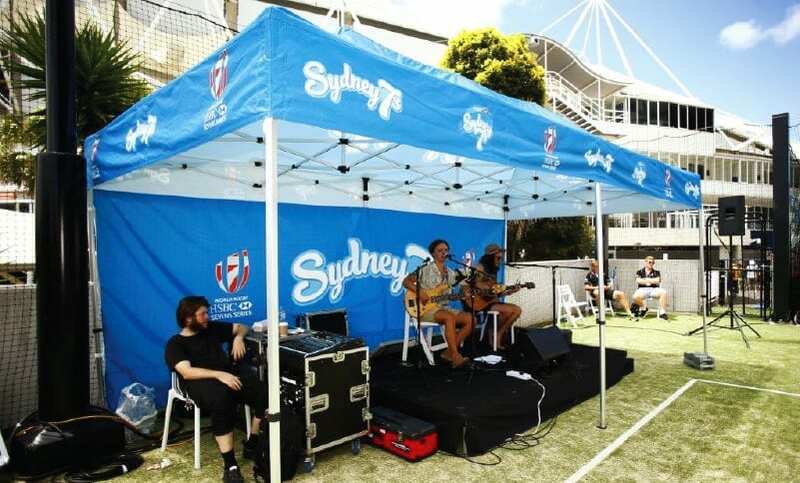 For indoor events the gazebos should be secured with weights. Whatever you choose, it is vital that you secure your gazebo. 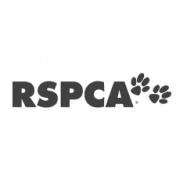 Your safety and that of others is important to us.